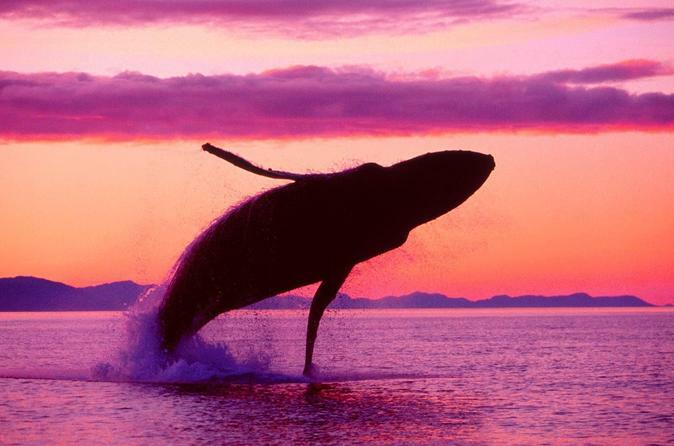 The Bay of Samaná is one of the best places for whale watching in the Dominican Republic. Maximize your chances of spotting humpback whales on this full-day catamaran cruise from Punta Cana, admire the magnificent creatures in their natural environment, then cool off with a swim around the island of Cayo Levantado. Tour includes lunch and hotel transfers. Water, rum and beer in the boat. Pickup times range from 6:30am to 7:35am depending on your hotel. Your tour begins with an early morning pickup from your central Punta Cana hotel (pickups start from 6.30am) and an around 1-hour drive through the countryside to Cañitas. On arrival, hop aboard a luxury catamaran and set sail around the beaches and coves of Samaná Bay. As you cruise around the bay, look out for majestic humpback whales swimming and playing in their natural environment, and learn more about the fascinating creatures from the on-board commentary. Along the way, admire views of Cayo Levantado island, dive in to swim in the warm waters of the Caribbean and enjoy a lunch on the beach. After a full day at sea, return to the port, where a driver will be waiting to take you back to your hotel.